Here at OilySkinGuide.com 10% of profits go to Smile Train. 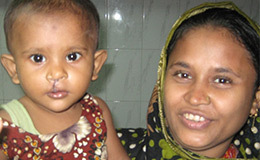 This is a UK-based charity that works all over the world providing cleft surgery to correct a cleft lip or palate. Children in Bangladesh, China, Ethiopia, India, Indonesia, Nepal, Nigeria, Pakistan, Peru, The Philippines and Vietnam, have all gained new smiles, thanks to the work of Smile Train. Each surgery costs £150 and provides that child with the chance of a normal life, where they can eat and drink and smile without feeling different. When you invest in your skin here, you invest in making a difference to these children’s lives, empowering them to live lives free of this physical worry.